TV show dates: February 2, 2018 — present. Performers include: Stana Katic, Patrick Heusinger, Cara Theobold, Neil Jackson, Angel Bonanni, Richard Brake, Ralph Ineson, Paul Freeman, Bruno Bichir, and Patrick McAuley. 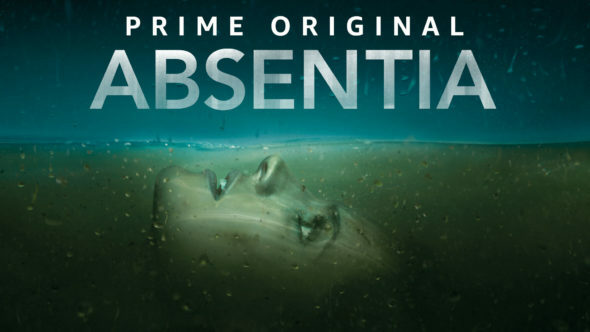 A thriller crime drama from creators Gaia Violo and Matt Cirulnick, the Absentia TV show centers on the mysterious disappearance and return of FBI Special Agent Emily Byrne. While tracking a notorious Boston serial killer, Emily vanishes. Her husband, Nick (Heusinger), is left to care for their three year-old son. Eventually, she is declared dead — presumed to be a victim of Conrad Harlow. Six years later, in a cabin in the woods, Emily is found clinging to life. She not only struggles with her years of captivity, but also learns Nick has since remarried. In fact, his new wife, Alice (Theobold), is the only mother her now nine year-old son, Flynn (McAuley), has ever known. At first the authorities treat her as a victim. Soon though, they like her as a suspect in a new killing spree. Meanwhile Nick, who has already been thrown for a loop by Emily’s return, is the one who has to bring her into custody. Emily takes off, in order to prove her innocence. As she starts to unravel the mystery and gets closer to the truth, things get even more dangerous for her and her family. Will Emily be able to prove herself and figure out what happened to her? Stay tuned. What do you think? Do you like the Absentia TV series? Should this TV show be cancelled or renewed for another season on Amazon? More about: Absentia, Absentia: canceled or renewed?, Absentia: ratings, Amazon TV shows: canceled or renewed? This is a great show. Just when you think you’ve got things figured out it goes in another direction. Please don’t leave us hanging…we need more seasons of Absentia. Besides, the acting is superb. This is most definitely the best thriller series I’ve come across in a long time. Please, please bring us a season 2! !